Satsang is a group of people meeting once a week for 90 min to study the scriptures and vedantic texts prescribed by Gurudev Swami Chinmayananda to benefit from the perennial wisdom of the Rishis. The word meaning of Satsang can be split into two words ....Sat and Sang. Sat for Truth; Sang for ' In the Company Of '; Therefore we are said to be 'In the company of truth or good' - when we have the 'darshan' (sight, vision) of a Saint or Guru and are reading the scriptural text. In our case, viewing Gurdev's commentary through the Bhagavad Gita video tape series, and reading the accompanying Geeta chapter and verses. *NE 85th ST. becomes Central Way NE going into downtown Kirkland. *Stay straight onto Central Way NE. *Turn right on First (1st) St.
*Go up the hill to intersection of First St. & Fifth Ave (about 3 blocks). *Church parking is available on Fifth Ave.
Every text has a central theme around which it revolves. Look for this first. Each verse should be taken up in the following sequence : First, the word meaning, then the translation of the entire verse, followed by the commentary and finally, the sum and substance of the verse." The most important follow-up measure of the Gnana Yagnas is the Study Group program. The basic concept of the Study Group is to study the scriptures by those who have curiosity/thirst to benefit from the perennial wisdom of the Rishis. A group of 1O- 15 like minded people get together at a place, time and day mutually agreed upon for 90 minutes a week for a systematic study of the scriptural texts prescribed in the Study Group Scheme by Gurudev Swami Chinmayananda after testing its validity over several years. What is read or heard, in order to take root, must be thought over (tat chintanam). The test of clear thinking is in the ability to express our thoughts clearly (tat kathanam). Again, whether our understanding is right and proper, is brought out in the rational and mutual discussion of the Study Group members (anyonya prabodhanam) Thus, to the sincere and diligent student, the Study Group technique provides an opportunity and a forum for gaining a deep and quick perspective of our scriptures. The forum, in the Sat Sangh atmosphere, also fosters and develops brotherly understanding amongst the members and strengthens the "One Family" concept. Each Study Group member will be allotted a portion in the text. During the subsequent class the Sevak would summarize briefly the proceedings of the last class and request the allotted member to offer his contributions. After the member has finished his contributions/raised questions, the Sevak would request other members for their supplementary contributions on the topic under discussion as also answers to questions raised. Repetition of stanzas and word meanings given in the text under study is essential to become familiar with Sanskrit verses. After the contributions are over, the Sevak, as a member of the class could also make his contributions. Repetitions are to be avoided. After the 90 minutes of class time, the Sevak should punctually close the class with the recitation of the Pledge by all and quietly disperse with "Hari Om". By following the procedure with sincerity and enthusiasm, members would get the cream of wisdom of the text under study by the technique of cooperative thinking. "Mere listening to my yajnas will not add to your beauty. These ideas are to be reflected deeply and digested slowly. This process is hastened only when you discuss what you have studied with others. Study groups constitute the heart of our mission. The ideas gathered by you, when discussed with others, not only become deeply rooted in yourself, but as they become clearer in your own understanding, they also inspire those who listen to you. Thus, each student, while trying to strengthen his own understanding, can become an instrument for the spread of this knowledge. 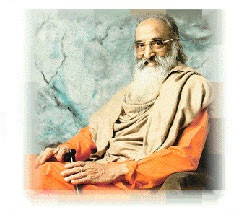 This process is the dynamic STUDY SCHEME followed in the vedantic tradition. This is not a Chinmaya methodology, it is the most ancient vedantic tradition of study." Outlined below is a three year "Study Scheme", half an hour a day, listing the order in which the books should be studied. This play systematically builds up, step by step, the fundamentals of Vedanta and provides a firm foundation for the student.